Daniel Boring Is a rare performer who specializes in various instruments including baroque, classical and romantic guitars, baroque lute and.theorbo. He is a native of western New York where he received performance degrees from the State University of New York at Buffalo and the Ithaca College School of Music. Former teachers include the Castellani-Andriaccio duo, Donald Miller, Timothy Schmidt, Pablo Cohen, and James Tyler. Mr. Boring made his European debut in Rome, Italy in 1995 where he participated as chamber artist with the Rome festival orchestra and ballet company. Return engagements throughout Italy include performances with the Opera Theatre of Luccaorchestral member and chamber music artist. Notable U.S. performances include Lincoln Center, the Chautauqua Institute, Kimmel Center, and The World Theater. Mr. Boring currently performs frequently as soloist and in chamber music as an active member of Due Colori, a soprano/guitar-lute duo with soprano Megan Monaghan. The duo recently released their first recording “Irish Airs and Ballads,” and followed up the recording with performances in Ireland, Italy, the United States and Mexico. Due Colori made their European debut performances in the summer of 1998, and continues to tour throughout the United States, Mexico and Europe. Active as a performer of early music as soloist and continuo player on lute, theorbo, and baroque guitar, Mr. Boring currently performs with several baroque groups on the East Coast including the Philadelphia Bach Festival Orchestra, La Fiocco, The American Society of Ancient Instruments, Dorian Baroque and the Vox Ama Deus Baroque Orchestra with whom he has made several recordings on the Lyrachord Early Music record label. He also has performed with various opera companies throughout the United States including Pittsburgh Opera, Ithaca Opera, Teatro Grattacielo and Glimmerglass Opera. A 2002-2003 faculty research grant was awarded to Daniel by the University of Louisville to pursue study and research of baroque guitar literature in Los Angeles with world-renowned baroque scholar James Tyler. He has made significant contributions to guitar literature by commissioning and premiering new works for guitar solo, guitar with flute, guitar with voice, and additionally being an active transcriber of diverse media to the guitar. 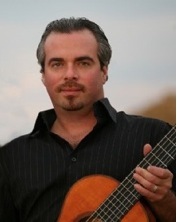 In addition to being in demand as soloist, continuo player, clinician, pedagogue and adjudicator, Mr. Boring served as Director of Classical Guitar Studies at the University of Louisville School of Music from 1999-2005. He also has held additional appointments on the Preparatory Departments of the University of Cincinnati College-Conservatory of Music and the University of Louisville, where he taught chamber music and applied lessons. Currently in the Philadelphia area, Mr. Boring is on the string faculties of Rowan University, Muhlenberg College and Montgomery County Community College. At Muhlenberg College, he serves as the Director and Conductor of the Muhlenberg College Chamber Orchestra, and is instructor of Historical Instruments and Classical Guitar.